You are renting in Mexico and your landlord hasn't been keeping the terms of your lease. You go to the hospital and are presented a ridiculous bill. A restaurant has reneged on a promotional offer. Who you gonna call? Well, just like with anything else that goes wrong in Mexico, it's doubtful you'll call the police. In Mexico everything is wonderful... until it isn’t. The country doesn't have much of a justice system. Remember when Americans used to use the threat "I'm going to call the Better Business Bureau!" thinking, "That'll-scare-'em"? By now, most people know that the BBB doesn't do anything for consumers in the U.S. The BBB works in the interest of its due-paying business members. In the last few years, it hasn't even received high marks from them. If you come to Mexico, it would be a mistake to confuse PROFECO as a type of Mexican Better Business Bureau. Once in a while PROFECO, like a taunted mongoose, bares its teeth and is surprisingly effective. PROFECO in Mexico is more akin to small claims court in the U.S., including the delays and paperwork. Unlike our small claims courts however, filing a claim with PROFECO is free. Ultimately, on a scale of 1-10 as far as a just outcome, PROFECO would probably rank an impressive five, the highest rating ever received by any agency in Mexico having to anything do with punishing criminal activity. Any consumer complaint that you might turn to a lawyer and the court system for in the United States you would probably be directed to PROFECO instead in Mexico. You do need to go prepared. Lawyers don't have any power in Mexico - but just like U.S. lawyers, they usually write pretty well. Lawyers in Mexico don't have the authority or power they do in the United States. That's why a session with a Mexican attorney will cost you 400-500 pesos ($30 dollars) and not $200. The one thing a lawyer in Mexico can do for you is to put your complaint in proper Spanish, which they speak beautifully. - Supplier's name, address, phone, e-mail or other contact information date of purchase, cost of the product or service, amount you are claiming, your name and signature. Once you are taken before the PROFECO official (who will look suspiciously like the picture in this post), you've butchered their Spanish and they've butchered your English, present your beautifully executed Spanish-language document ( Do it with some flourish, saying "Todo que sucedió está en este documento!" (Everything that happened is in this document!). After you hand them said copies of these documents, demonstrate the intention to wait patiently while they read them (Usually, I try to find a book in Spanish with a high-brow title that I can barely understandjust to make them wary. Then I sit down and immediately become engrossed in it). After presenting your complaint you may get directed to the Office of Tourism, City Hall, some other government agency. Or you might even be invited back for a formal hearing at their offices against the accused! Great fun is poked at Mexican tramites (bureaucratic processes), specifically the high level of red tape, paperwork and ambiguity for a reason. Things take much longer to get accomplished. Your results depend to a high degree on who you're talking to, and what kind of day they're having. You just have to be patient, do what you're told and still expect to be frustrated. When you do see people, try to get business cards and clearly written e-mail addresses from everyone you meet. It is much easier to at least try communicate via e-mail rather than over the phone. With email, you can look Spanish words and phrases up that pertain to your complaint. Keep the emails as you will need them for your third and fourth trips to PROFECO. In making complaint against a medical clinic in Mazatlán. I needed to provide proof to PROFECO of what was charged on my credit card. One free tool that can come in extremely handy for these situations is Skitch. Skitch is one of a number of free online tools that enables you to make a screenshot, then make arrows and comments on it. Skitch enabled me to take a screenshot of my online bank statement and make annotations and comments. I confirmed my translation of the comments into Spanish on Lingee, a site that translates entire phrases, and made notes on the screenshots. I also made printed copies, in case the official wouldn't open the attachment. With these documents, I made complaints against the Office of Tourism, American Consulate, PROFECO and one other agency dealing with specifically medical issues, the Comisión de Arbitraje Medico del Estado de Sinaloa. Will any of these measures yield any results? You might be encouraged to fight back by occasional forum posts like this one on ExpatsExchange.com about PROFECO. When we moved to Mexico I had a cheapo LG cdma flip phone I purchased for about $3 on ebay. I put a new IUsaCel sim in the phone for Mexico and it worked great. Then AT&T bought IUsacel and converted everything to GSM - rendering my phone useless and eating my 4000 peso credit balance. We visited PROFECO and filed a complaint, My wife kept great notes on all our interactions with AT&T. I think it took 2 visits to PROFECO the last with one of their lawyers who acted as an intermediary with an AT&T lawyer on the other end of the phone. In the end - they agreed to reinstate our 4000 peso credit balance AND gave us a new GSM phone of our choice. It was not a lot of money - but they should not have acted in the manner they did, AND - it was a great learning experience for us !! Filing complaints are important because multiple complaints against the same entity are what gets attention from PROFECO. You never know if you're the first or thirtieth complaint against a company or person but whole institutions, such as clinics, have been known to close down when these complaints pile up. When things happen, my philosophy is to take action, a hold-over from being American that is hard to relinquish. I measure efforts like these not in terms of their ultimate effectiveness. I think of them rather as ways to root around the corners of a new culture when other people would rather go listen to mariachi. The best way to learn anything is through engagement. And who knows? My one petition could that last straw. Next up: No you don't have to have Spanish, but after taking a look at my five scenarios in ten days and you might want to reconsider. Most recent: We do anything we can to avoid testing our friendships. Maybe we shouldn't. 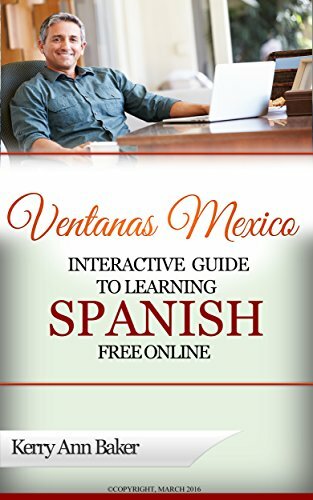 Kerry Baker is a partner with Ventanas Mexico and author of two books, the "Interactive Guide to Learning Spanish Free Online" a curation of links to the best free language site features on the web. Don't be an expat who doesn't speak any Spanish! Use the book's lesson plans or create a unique plan every day using combinations of the interactive links included in the book. Study anywhere using your laptop, e-reader or tablet. 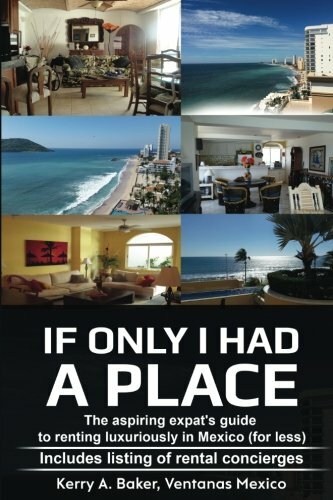 "If Only I Had a Place," the go-to book on renting luxuriously in Mexico for less than you ever dreamed. The book gives you a system to not just rent, but rather establish a foundation for the richest expat experience. The book also includes a listing of rental concierges who can be invaluable in previewing prospective homes or apartments.